You know how it is. Watching your kid discover new things and change so much in the first couple of years is astounding. We find ourselves saying, "He's so smart" frequently. 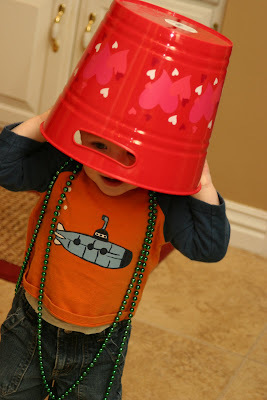 He's not yet running into the walls with the bucket on his head. 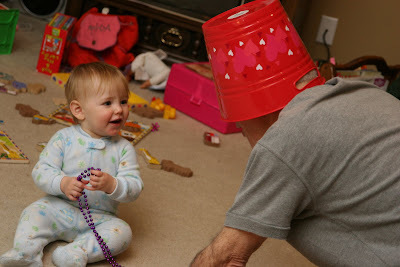 Apparently, the bucket head thing runs in the family. 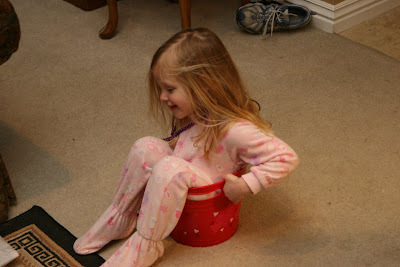 More signs of high intelligence in our offspring. There are advantages to being the person behind the camera! laughing out loud here! Too funny! I wish I could manage to capture all the silly things Max does on film. Those are great pics! Funny! I'm sure it is a great sign of intelligence and originality!